Pulse FM, based out of South Bend, Indiana, has been on the air since 1996. Corey Mann has been apart of Pulse FM since 2009. We recently talked about his career as a DJ, how dc Talk’s Jesus Freak changed his life, and why a dc Talk reunion should happen. Gabe: Tell me a little bit about yourself. What stations are you involved with and what exactly do you do? Corey: I am apart of LeSEA broadcasting. They are a television network globally, shortwave radio, which is basically high-powered A.M., and then a lot of Internet stuff. And then we have radio locally here in South Bend, Indiana. We have two contemporary Christian music stations: Pulse FM (96.9, 92.1)… and then we have a talk station called Harvest (103.1). I run those stations in South Bend. Gabe: How long have you been at those stations? 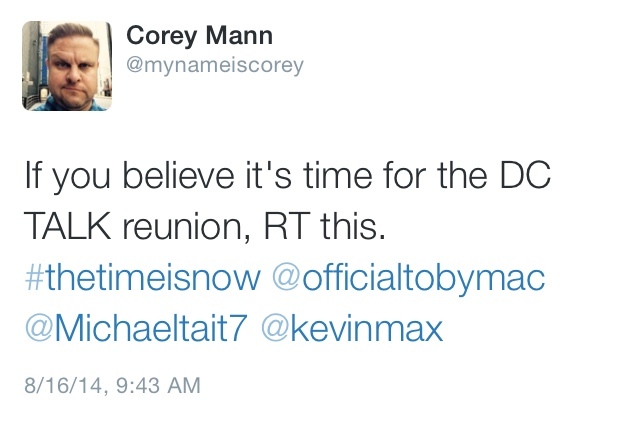 Corey: This January I will have been here six years. Gabe: That’s awesome. Why did you decide to get into radio and be a DJ? Corey: You know, I was a classic teenager that was kind of lost and looking for purpose. I graduated high school in 1987, long long time ago. I always loved music and I always loved radio and listened to both quite a bit. So I called up the local morning DJ in my hometown and asked if I could watch what he does and he said “sure!”. I loved it when I saw it first hand and I thought the ‘cool’ factor was through the roof. And so before I left that morning he gave me a job as a part time DJ. I had never done it before but I instantly fell in love with it. Corey: Yeah, exactly! (laughter) My first radio job in the fall of 1987 I made $3.35 an hour. As you can probably tell, I’m still rolling in it. I’m bathing in it right now. Gabe: (laughter) Moving on, a lot of the times Contemporary Christian radio is financially supported by the listeners. How is that different from other secular stations? 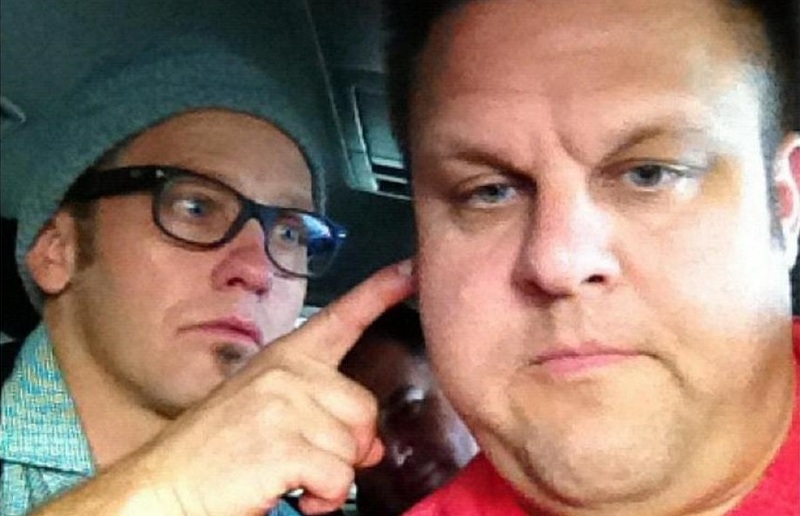 Corey: Sure… That’s what I did. I did mainstream radio for about 15 years. So, you have a sales staff that goes out and sells commercial time… Because when everyone listens to the radio for their favorite songs, sandwiched between those songs is commercials. And then depending on the ratings, the sales staff can put a price tag on those commercials and that’s where you make your money. In Christian radio, sometimes the stations will shut down about twice a year to basically say ‘Hey, look, it costs money to do what we do. And we are listener supported.’ So they have to ask…and sometimes that takes a week, sometimes that takes 3 days. Sometimes that takes a pretty successful staff behind the scenes that has established relationships. Relationships that help get businesses and people on board that have caught that vision. Fortunately for me, we are a commercial radio station. So we do get to go out and sell time/commercials. But we do partner with multiple ministries and do share-a-thon type events… Food distribution, Bibles, that kind of stuff..
Gabe: The music industry has evolved a good bit since you got into radio. How has that changed your job? Corey: That’s a great question! It’s a singles world now. Back in the day when an album came out, you’d go down to the store and buy the whole record. But now with downloading and social media, everything is at your fingertips. Unfortunately, a lot of these artist’s albums fall to the wayside. You don’t get to hear these other 8 great songs because only 2 of them are getting played as singles on the radio. So there’s that… I can remember back in the day standing in line to buy an album that came out at midnight. You never ever ever ever see that anymore. And that’s unfortunate because it was a lot of fun. There was a community of people that loved that particular artist. And now the music industry is pretty messed up as far as sales go. So now the money that needs to be made, particularly with Christian artists, is touring. That’s where they are going to get their bread and butter. Gabe: So I have to ask this question. Jesus Freak is 19 years old at the end of November… 20 years old next year. I know you are big on wanting a long awaited reunion. Tell me why. Corey: When I was in mainstream radio, I remember my programming direction walking in and handing me a CD. He tells me, “We’re gonna start playing this now.” And I had never heard of them before. And it was dc Talk and the song was “Just Between You and Me“. It was considered a “crossover” song. And then I remember A&M records sent the whole album and I fell in love with it. It had everything that I would want as a music fan. It had a little bit of rock… It had a little bit of rap… It had a little bit of this great contemporary sound that sounded like everything that was on the radio at the time… But the content was drastically different from the stuff that I was listening to. So every song hit me between the eyes. So as a joke, I just started tweeting about it and putting it on social media…and doing it everyday. I had Kevin on the morning show with us when his single first came out and he got a kick out of it. And then I ran into Toby back in September and the first thing he says to me is “Man, you make a lot of noise on the Internet.” And I told him, “Dude, it’s just out of fun… But why not?” We had a great 30 minute conversation of why this hasn’t happened yet.. And, you know, he pulled back the curtain on the business side of things and the busyness of their lives. That’s not just something you decide to do. You might go into the studio for 4 weeks to record a record and then put on a tour. And they would do it with the excellence that they have done with their own individual careers…so it would take some time. They would have to get all the nuts and bolts screwed together tightly and put down this amazing product. And then tour-wise, what would that look like? They would have to ask, “How would that flow?” “Are we doing songs from our new catalog or are we doing all the old stuff?” “Are we doing Newsboys and solo stuff?” There would be a lot to sift through. But I can tell you this… At the end of the conversation, whether he was joking or not, Toby did say this to me: “I would consider doing a cruise.” Because the ground is kind of level for a cruise because you wouldn’t be able to bring all the bells and whistles on a cruise ship. You would just have to play and it would be all about the songs. I don’t know know if he was joking or not but I kept throwing it in his face the rest of the day saying “I’m ready for a cruise!” and that was a good laugh! Gabe: Why do you think they have been able to stay relevant all these years? Corey: They broke new ground. They did something that nobody else did. You can’t listen to that (Jesus Freak) record and say “Oh, this sounds like this or that”. It was such a one-of-a-kind anomaly. Then the next record (Supernatural) after that was, in my opinion, drastically different. The other guys started writing a little bit more and having more of their input. 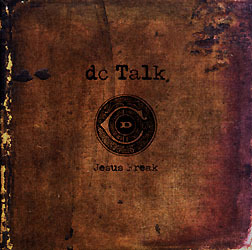 “Jesus Freak” is still one of my favorite records and it’s still sitting on my desk. I can reach for it anytime! This entry was posted in art, Christianity, Music, radio and tagged dc talk, kevin max, michael tait, newsboys, pulse fm, tobymac. Bookmark the permalink.